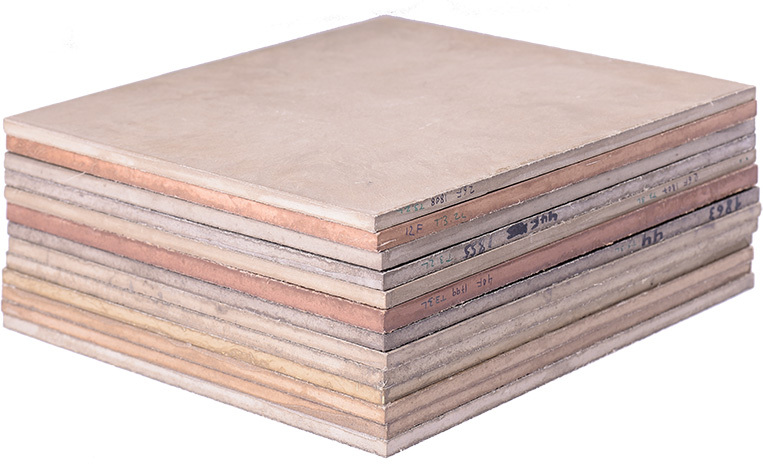 CRIATERRA creates genuinely pure eco-innovative materials that embody the vision of a circular economy. 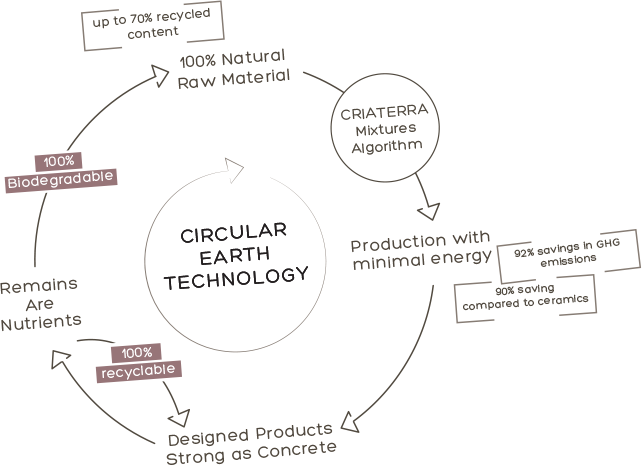 Unlike ceramics or cement in which natural resources are burnt to become dead matter, CRIATERRA’s eco-innovative manufacturing process creates compacted ‘living’ products that may return to earth as nutrients towards their next productive cycle. 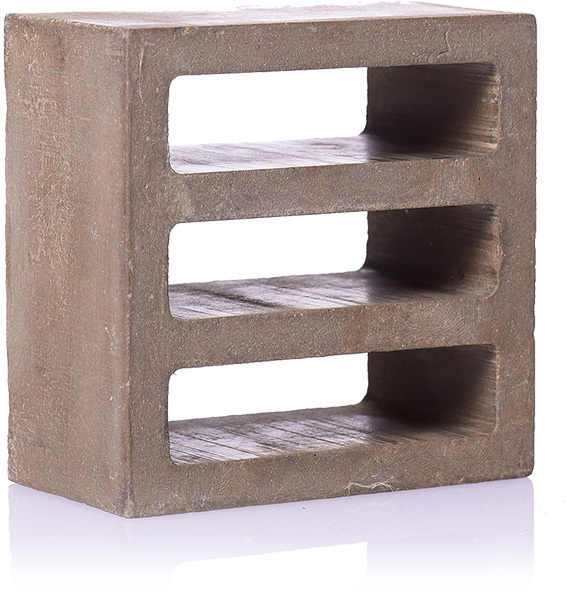 Pure eco-innovative composite materials as strong as concrete allow the mass production of constructive elements as well as interior products. Our unique molding production technology allows exible form-giving based on studied mechanical properties. 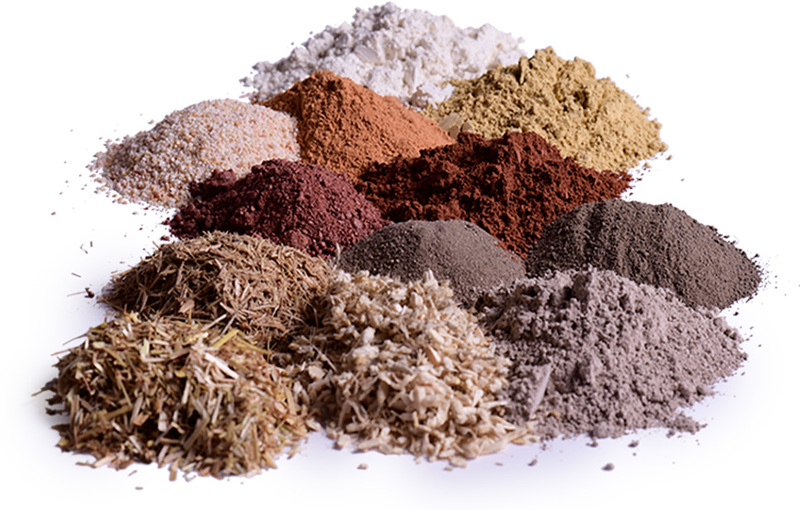 CRIATERRA’s unique 100% natural blend collection is achieved by a unique compacting process of a variety of earths and vegetal fibers, creating a rich an luscious color palette that brings a rare organic sense and scent to every product.